Car Dealerships in Bolivia. Buying a car in Bolivia. Car dealerships in Bolivia sell many of the same brands and models you’d see in the U.S., Europe and other countries including Toyota, Nissan, Hyundai, Kia, Porshe, Honda, Mitsubishi and many others. Cars are expensive in Bolivia due to the high import taxes involved. Bolivia car dealerships often also keep a large inventory of spare parts. Financing is available through some car dealerships and most national banks. The qualifications for buying a car in Bolivia are also similar to the requirements in many other countries. 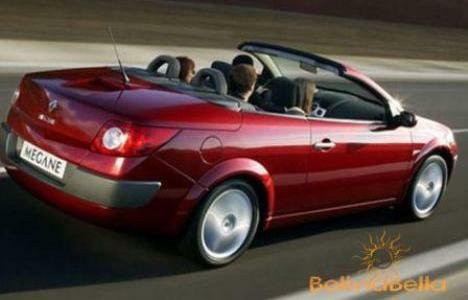 The following is a list of car dealerships in Bolivia. Click here for tow truck contact information in Santa Cruz. When you choose to drive on your own in Bolivia, make sure your driver's license is acceptable in Bolivia and that you inform yourself on the weather and current road conditions. Read about personal safety and if you plan to drive your car outside the city limits, read the latest news to be sure you will not enter an area where political activity or road blocks are occurring. It's also a good idea to ensure you have good maps of Bolivia which you can purchase online or at local office supply stores known as librerías. The Bolivian road transportation department provides this great interactive Bolivia road map online. Gas (petrol) stations are few and far between, and often completely non-existent once you leave city limits, therefore you should always have a full tank if planning a trip to rural areas. (Also La Paz, Montero, Cochabamba, Oruro and Tarija). (La Paz, Cochabamba, Tarija and Sucre). (Also La Paz and Cochabamba). (Also in La Paz and Cochabamba). Car dealerships in Bolivia must provide you with a copy of the importation policy showing proper and legal importation of the vehicle. After you buy a car in Bolivia you will have to process the title of ownership and license plates, and pay yearly taxes on your vehicle. In addition, if you plan to travel to neighboring countries at a car you’ve purchased at a Bolivia car dealership, you’ll need to process a permit to legally and temporarily “export” the car, which must return to Bolivia within a specific period of time. If you do not return with the car, you may be charged export tariffs. BoliviaBella Expat Services offers an entire suite of services to help smooth your transition into expat living. If you don't speak Spanish, we can help you rent or purchase a car, select a bank and open a bank account, apply for residency, do your house hunting for you, help you set up your utilities, and more. Click here to learn more about all the expat services we offer.